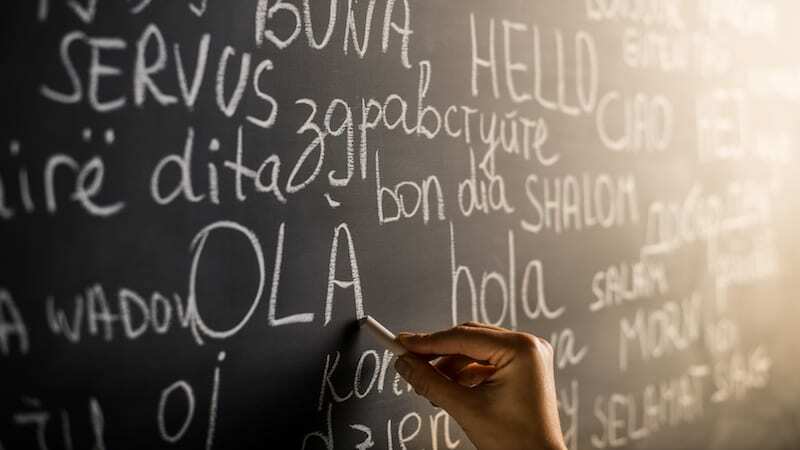 Here’s what we’ve learned from teaching in a classroom with six different home languages. Two-dozen students. Eighteen English learners. Seven countries. Six different home languages. We welcomed our students at the start of the school year with excitement for the journey. But we were also a bit anxious over the challenges to come. We asked ourselves questions like: How will we effectively communicate with all families? How will we build strong classroom community so that every individual is valued and respected? How can we differentiate to meet the distinct needs of all students? The good news is, super diverse classrooms can foster even more learning. And, we can now confidently say, it’s been our best year of teaching yet. We’ve learned a ton and found out that, actually, as the world becomes increasingly multilingual, this classroom makeup is not uncommon. Nowadays most children grow up in diverse communities and interact with speakers of different languages on a regular basis. Our classrooms, which frequently include students from around the globe, are a reflection of this shift. Teaching in these culturally and linguistically diverse classrooms can be challenging without a distinct set of strategies and approaches, yet these learners enrich the school environment exponentially. So, what is the role of a student’s home language in the classroom? Language and identity are closely intertwined. According to Rosa Isiah, EdD, the home language of English learners plays a major role in the development of their academic identity and overall educational success. Validating a student’s culture and language provides social and emotional benefits, such as developing a positive and confident student self-image. Conversely, there are zero benefits to telling students they cannot use their native language. What strategies can be used to create a safe, inclusive, and culturally responsive learning environment? 1. Get to know the students as individuals. For teachers with a classroom full of students of different backgrounds, the responsibility to connect with them goes beyond simply knowing where they’re from or what their favorite subjects are. Try writing down at least one thing about each student that is unrelated to school or academics. If you find it difficult to write something about any of the children, it might be a good idea to make an effort to get to know them better. You can even take this quiz to find out how well you know your students. 2. Support the home language in the classroom. We cannot claim to teach to the whole child without embracing who students are, including their home languages. Supporting students’ home languages in the classroom goes far beyond asking, “What is this word in your language?” Start by embracing home language and culture—talk about it, ask about it, and seek opportunities to incorporate it into projects, celebrations, and lessons. Draw from students’ home languages with authentic opportunities to share and allow students to seek assistance from peers who share the same home language. 3. Use books and materials to foster cross-cultural understanding. Literature can foster positive self-esteem, prevent students from feeling isolated, promote a sense of belonging and acceptance, and help students develop global awareness by introducing them to current cultural issues. Keep in mind, there is more to creating a culturally responsive classroom than just using text, but it is a great start! Check out this Guide to Choosing Outstanding Multicultural Books by Scholastic. The most important thing is to make parents feel respected, valued, and heard. You can accomplish this by inviting parents to classroom events, such as reader’s theater performances, class project presentations, end-of-unit celebrations, or awards ceremonies. Be sure to consider the work schedule of the parents in your class. You may also have more success holding a curriculum night at school with an interpreter or even consider a home visit! 5. Diversify teaching strategies to make the content accessible. Multilingual learners are often learning the language of instruction simultaneously with the content. Providing extra oral and visual support, allowing students to prepare before discussions, pre-teaching vocabulary, giving sentence starters and paragraph frames, and creating opportunities for more group work are just a few best practices to make the content accessible for second-language learners. For more strategies, check out the University of Washington’s Center for Teaching & Learning or the Teaching Center’s Strategies for Inclusive Teaching. 6. Provide students with opportunities to share about their home life. Consider implementing a morning meeting. In our classrooms, students are given the chance to share a good thing that’s happening in their life. We have found that students jump at the chance to talk about their home life. Even if a student has difficulty describing something in English, a classmate can help out with translation. This models for the students that you care about what they have to say, regardless of where they are with language acquisition. But, how can teachers communicate with the families of multilingual learners? ClassDojo is a free online classroom tool used by many teachers to communicate with families about student behavior, progress, and school events. The messaging feature allows teachers to send messages in English, and then parents can view the translation in their native language. Remind is a free app and communication platform used by millions of educators to manage school communication quickly and efficiently. You can send messages to an entire class, a specific group, or an individual. The app can automatically translate messages into more than 90 languages. Reach out to the ESL department to find out if your district offers interpreters to assist with home-school communication. They may be able to help with interpreters for events or translating classroom handouts. Most importantly, don’t underestimate them. All students, no matter their background, culture, or home language, have so much to contribute. For instance, between 2003 to 2015, multilingual students showed two to three times more progress in reading and math than students who spoke English only. Take an asset-oriented approach by focusing on students’ strengths, creating opportunities for success, and celebrating their contributions. They can and will soar! Do you teach in a classroom or school with many different home languages? Come and share your experiences in our WeAreTeachers HELPLINE group on Facebook. Plus, 10 ways to build ELL vocabulary skills. Allyson, John & Ashley, also known as team Ready, Set, Coteach!, are co-teachers from Raleigh, NC that specialize in co-teaching for English Learners at the elementary level. With 18 years of experience between them, they have been teaching together for three years, are the subject of a published case study, and have presented at multiple education conferences on the topics of inclusion, collaboration, literacy & language.